Business Relocation Services offers a wide range of specialist office removalist equipment. Particularly, design to be used during office and commercial relocations. Our management and staff have over the years of experience that we have all gained designed and developed specific equipment. Moreover, its aim at delivering an efficient smooth and cost-effective relocation solution of the commercial market. Most of this office removalist equipment and relocation process can be adapted. It can also developed and implemented into any office or commercial relocation project. With recent development with office removalist equipment in the delivery of relocations, overall, Business Relocation Services has adapted to the market changes. We have implemented the use of security crates and seals for the relocation of packed items. Business Relocation Services has combine the latest environmental management to improve the relocation process and assist our clients. If possible will reduce the carbon foot print of their relocation. Our ECO Crate and skate solution will provide an efficient highly secure modern approach to relocating commercial work areas. Using crate will ensure that an extra element of protection is provided when packing items of a secure nature. Security crates are all sequentially number and can be seal at both ends on the top with a number of “Grip-Lock” seal. The crate number and the seal number that can be recorded on a security crate register with the contents log as well. As the crates are made of non-pours material, the non-penetrable biodegradable material in the event of a spill of any chemicals or liquids, which are packed in the laboratories, will be easily contained. Business Relocation Services Cardboard cartons for office relocations have been designed to fit most office items in easily. The dimensions of our carton are 350mm wide 480mm long and 400mm tall. Additionally, we can easily fit 6 leaver arch folders to a box and take hanging files directly from the cabinet and place them in our cartons. The carton is made from recycled cardboard and is a heavy duty 3wall construction thus to eliminate crushing. Business Relocation Services will attend relocation management meetings as required to achieve project objectives. As a result, Business Relocation Services will act on outlining key issues & tasks as required. For this reason, Business Relocation will ensure that key processes are completed by the required resource and as per the move program. We will ensure the correct office removalist equipment is assigned and allocated to the specific needs of your commercial move. Business Relocation Services will attend if required meetings with the key coordinators as required for the life of the project. Our attendance at these meetings often reinforces the relocation process and assists the clients with the preparation and understanding of the relocation process. More guidelines can be discussed which enforces the importance of the relocation requirements to ensure that all runs smoothly during the relocation. Business Relocation Services understand the importance of ensuring that your facility will remain free from damage throughout the relocation process. Business Relocation Services provide a variety of different building protection specific to each building site. Modern business would hardly function without a complex IT system supporting it. Business Relocation Services knows that your computers servers photocopiers and communications equipment are the inclusive arrays of delicate electronic equipment of which are drivers to your enterprise. Our staff has the specialist skills along with the appropriate protective materials and handling equipment to ensure that your IT equipment is relocated with utmost care and priority. In addition to the wrapping, of all computer components, they will be transferred using specialised Computer Trolleys. Which have tiered shelving allowing multiple units to be transported safely at once. Fully enclosed surroundings to prevent any tipping. Pneumatic wheels preventing damage to newly carpeted/tiled surfaces. Provide a fully enclosed capsule allowing multiple handling of sensitive electronic equipment to be minimised. Specially designed to fit into most lift cavities and internal office layouts. At Business Relocation Services, our Computer Disconnect & Reconnect Services allow you to reduce downtime and lower the overall cost of your office relocation. Business Relocation Services have teams of trained IT staff to document, disconnect, transport, reconnect and test your desktop computer and telephone equipment for basic connectivity, report the results to your IT staff and assist as required with resolving any outstanding issues, and that’s just our standard service. Business Relocation Services to attend pre-move meetings to meet with your mover and I.T department to establish roles and time frames. Move Day – Arrive shortly before the removalist do to begin disconnect, auditing and preparing devices for the Business Relocation Services Team, staying ahead of the movers at all times. Reconnect – Clean computers & phones. Reconnect, test all items and document. Post Move Support and helpdesk service. Business Relocation Services have developed an efficient padded wrap for the relocation of IT and specialist computer and communications equipment. Our office removalist equipment Tec Packs are universally sized to cater for all types and sizes of technology in the workplace. Our Packs have a strengthened board on the front to ensure that Flat screen monitors are fully protected when loaded into our computer trolleys. Quick and efficient Velcro strapping is used to secure the packs to IT components. The sequential nature of relocating filing and library systems requires trained staff that understand the specific attention to detail in filling order of each collection to successfully transfer from site to site in every move. We provide in-house trained and experienced staff, with a dedicated crew leader for the completion of specific filing systems required for packing and unpacking. 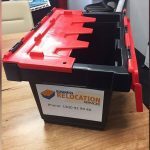 Business Relocation Services are able to confirm that we have the experienced staff together with the correct and most practical equipment and resources to ensure that the areas that have been identified are packed, relocated, unpacked and reinstated at your new premises without loss of sequence, thus allowing your business to continue with your daily operations. Business Relocation Services have developed specialist office removalist equipment and systems along with trained selected staff to sequentially pack move and unpack collections. Our teams will ensure that your collection is handled appropriately and relocated to your new facility with minimal disturbance to the daily operation of your business. Taking advantage of our Pro Pac service will minimise the cost and time involved with you completing the packing yourself. The relocation of storage systems is coordinated with packing requirements of your organisation. Business Relocation Services have the staff and knowledge to dismantle move and reassemble most makes and models that are sold in Australia. Business Relocation Services offers secure offsite storage to our clients. This can be either short or long term to cater to the needs of your organisation. Our secure facilities are located in the western suburbs of Sydney and cater to the varying needs of our clients. Business Relocation Services uses a variety of specialist vehicles to undertake relocations. Vehicles are fully enclosed purpose-built for commercial relocations. Business Relocation Services has fitted in all our vehicles the latest Global Positioning System (GPS) This GPS system ensures all the goods in transit can be monitor via the vehicle movements and if require our clients can be granted remote access to the tracking of schedule vehicles completing their works. The solution includes live tracking, historical replays, customer way points, route monitoring, speed reporting and many other options via a simple web client or server software. The solution is easy to use, comprehensive and customisable to the changing competitive space. Our tracking system provided through MTData solutions are built for a long life using the NextG network for the ultimate coverage in the Australian market. Business Relocation Services uses a variety of specialist office removalist equipment and vehicles to undertake relocations. Call 1300 92 94 40 now!